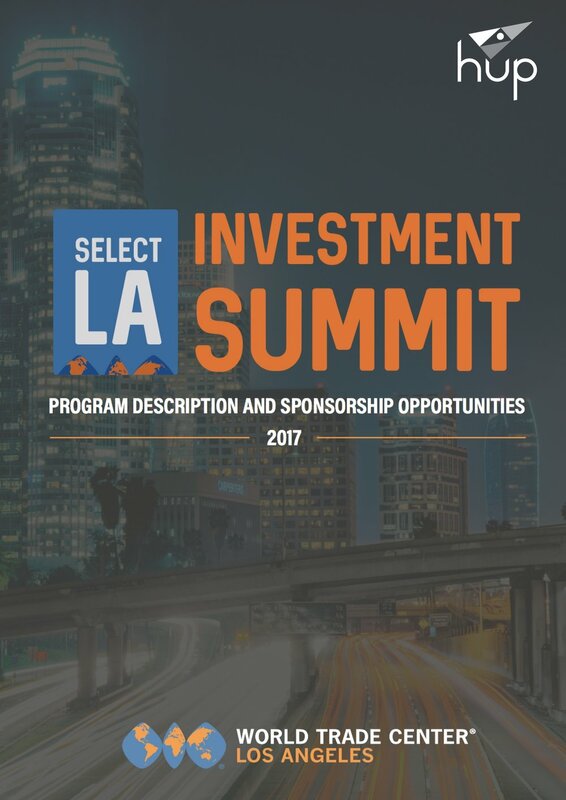 Monday, May 8th 2017 – HUP is excited to be joining Select LA’s Investment Summit in Los Angeles from June 14-16th. The 2017 Select LA Investment Summit will be Southern California’s premier international trade event. The summit will bring together global investors with business and governmental leaders from Southern California to facilitate and secure foreign direct investment (FDI). The event will also be a great way for foreign organizations to gain exclusive insights on market trends and opportunities in the Los Angeles region. The Investment Summit will provide the key components of what every foreign investor needs: detailed research and strong connections. Can’t make the Summit? No problem! Let HUP represent your company/proposition and connect you to potential customers and government during the event. We will also share the outcome of the Summit in terms of trends and facts for Los Angeles as a start for your business. We need to have a proper intake for this with you and your board to understand specifics around your ambition to move to the United States. Planning to join the Summit in LA? Great, let us guide you! HUP will organize appropriate meetings with local government and investors based in our personal network, connect your organization with possible leads/clients, and we will help support you on your jumpstart to the United States during your stay in Los Angeles.